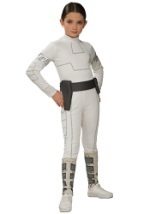 This boys Star Wars deluxe Anakin Skywalker child costume makes Halloween and theme parties fun! The black tunic has an attached thin, brown shirt. While the pants have attached black boot tops. 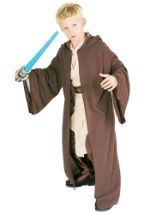 The deluxe belt is also included in this Anakin costume. Grab an Anakin lightsaber and a Star Wars trick or treat bag before you hit the streets!